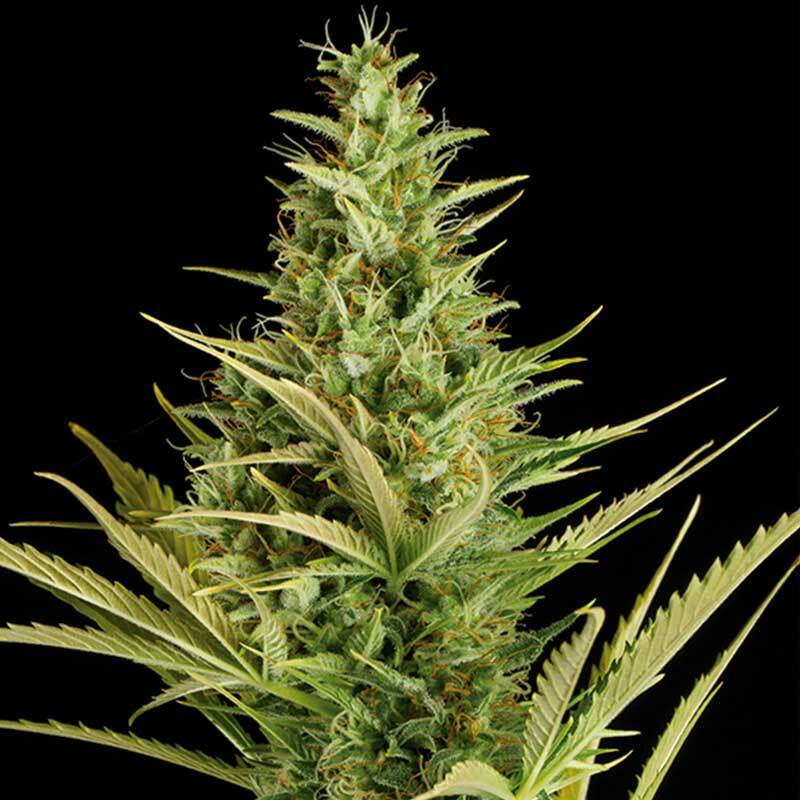 Cheese XXL Auto cannabis seeds by Dinafem Seeds belong to a feminized autoflowering Sativa/Indica/Ruderalis cannabis strain that results from the cross between an Exodus Cheese and a Cheese Autoflowering. It is a high-quality hybrid with which to obtain fast quality crops in an easy way. Cheese XXL Auto cannabis seed is the automatic version of Cheese. This marijuana seed produces fast-flowering vigorous medium-sized plants with quite big internodes that yield large dense buds covered in resin. It is suitable for all kind of growers and a very good option for beginners. It is a real pleasure to find the excellent taste and aromatic properties of the Exodus Cheese elite clone in this cannabis strain. Cheese XXL Auto marijuana seed produces homogeneous individuals, fits in small indoor spaces and grows optimally in temperate/continental climates outdoors. It is advisable to use anti-odour filters when grown indoors and it might need staking at the end of the flowering period in order to hold the heavy branches weighed down with buds. Adding 30% of coco to the soil mix and watering frequently but in small amounts is recommended to improve the growth of the plant. Cheese XXL Auto has a deep flavour and aroma, with notes of fresh flowers, Skunk and slightly hot spices. The long-lasting effect is powerful, physical and mental. It is the perfect marijuana strain to have a good time with your friends.